A voyager and explorer, a city steeped in history. As Laozi said, ‘A journey of a thousand miles begins with a single step.’ Here’s to adventure. My apologies for being a bad reader this past few weeks. I’m trying to shake a persistent head cold and losing. 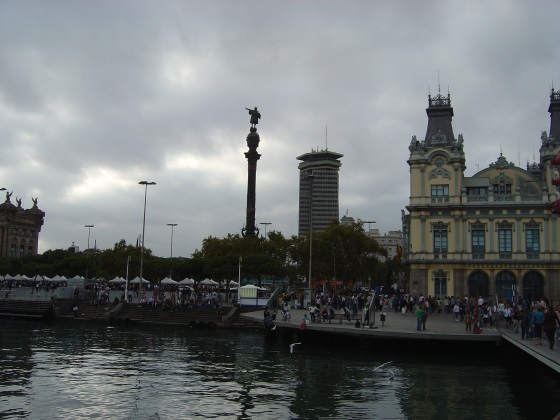 “What the hell are you doing in Barcelona, Bud?” Sarah swiveled in her chair and pulled on her bangs, seeing the scene behind him. “You promised. You swore to me. No more teleporting. You know what it does to me.” Sarah’s voice was wavery and thin, fearful. Disconnecting, Sarah exhaled sadly, knowing it could never end well between them. There’s something about a good teleport that one is too many and a thousand will never be enough…. Great story – is it accidental teleportation or does he have control over it? I’m intrigued! Nice story, Erin. Something about this makes me think Bud might not always be in control of the teleporting. The plot reminds me a bit of The Time Traveler’s Wife. Good tale. A good teleporter can bring a beam to one’s face. Heh, this was unexpected, I love it. When you have such a skill, you need to practice, don’t you?